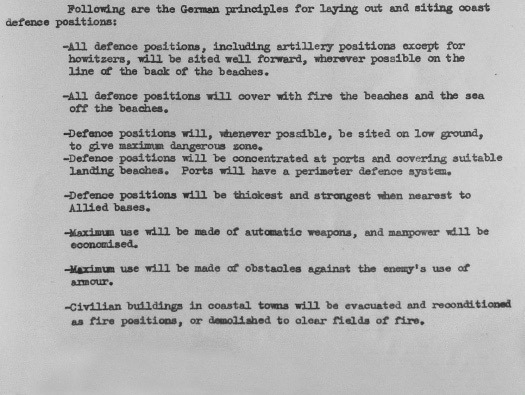 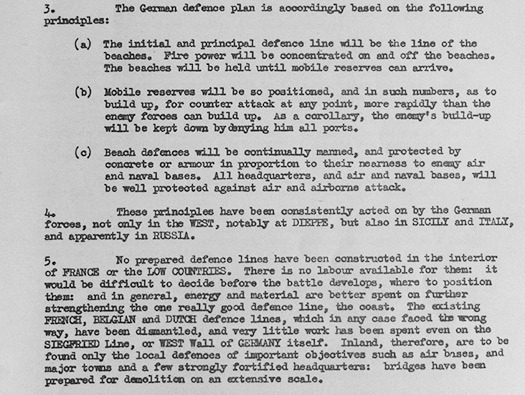 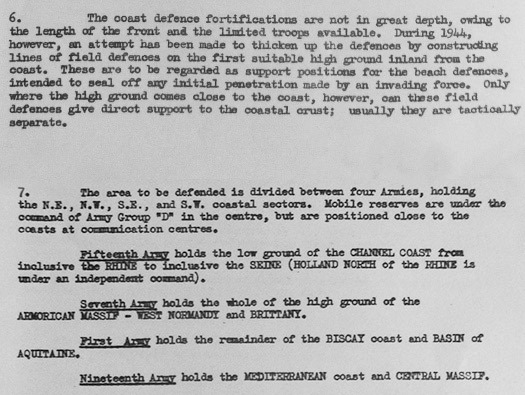 Details taken from 'Description of German Defences in the West' April 1944. 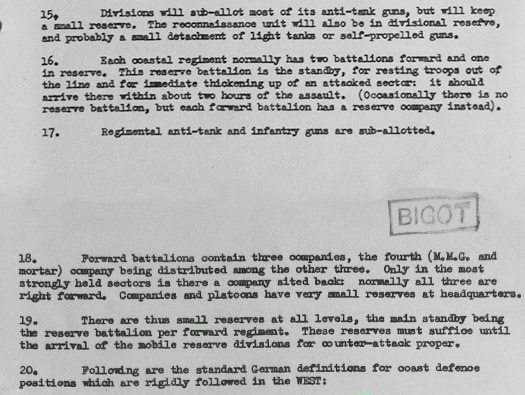 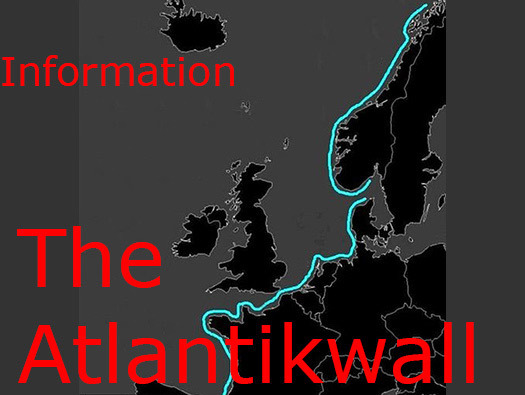 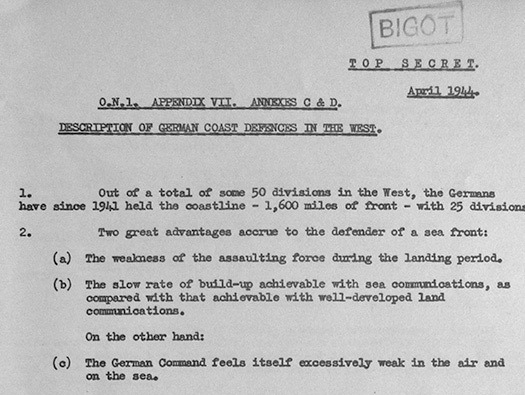 A secret BIGOT document circulated to all Allied units prior to D-Day with the information they will need when they land in France. 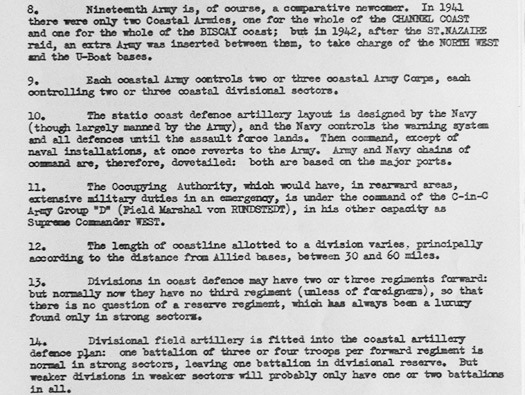 Elements of the 121st Infantry US Army. 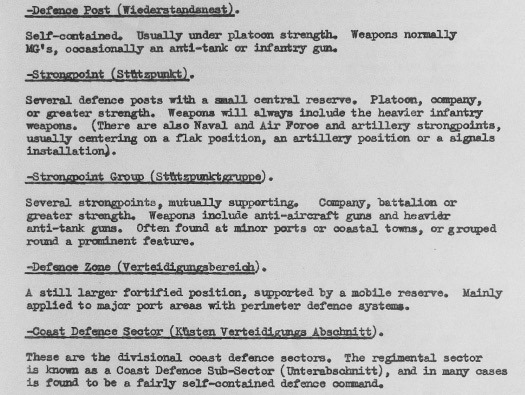 Cpl Wojtek of the Polish armed forces..